Landlord mistakes can be costly in terms of financial losses, legal problems, and/or stress. Including the right contingencies, properly written, is extremely important when buying property. “Caveat Emptor” – that is, “Buyer Beware” – no longer applies in the U.S. for most purchases. Calling workers by the title “independent contractors” does not necessarily make them so. Violation of the FCRA can result in fines and/or lawsuits, even criminal prosecution. The FDCPA requires that debt collectors treat consumers fairly and prohibits collection abuses. Investors must understand valuation principles in order to buy and to sell at the right prices. There are a number of legal and business issues associated with group investing. Aside from civil rights violations, most landlord lawsuits are related to health, safety, and security issues. A good lease agreement is critical to minimizing problems and dealing with them when they arise. Hassle that often comes with a tenant moving out can be minimized by adequate procedures. In spite of what the infomercials say, buying foreclosures is not a certain route to wealth. Profitable rehab of a property requires adequate knowledge, careful analysis, and good planning. 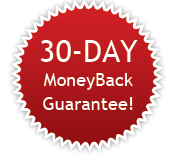 The purchase contract is usually the most important document in any purchase transaction. 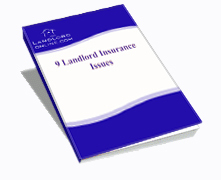 Adequate insurance coverage for rental properties is a vital part of any risk management plan. Landlords must consider a variety of tax issues, some of which may not be fully understood. The worst way to select professionals is by the size of their Yellow Pages ad. When hiring property management you are turning control of your property over to the company. There are number of issues of concern when hiring a tenant as manager for your property. Renting to non-related parties can result in problems not seen when renting to related ones. IRS audits are stressful and time-consuming, can be very expensive, and are best avoided. Failure to fully comply with fair housing laws is not only legally wrong, but it can be very costly. Unless done properly, hiring a contractor can be extremely injurious to your financial health. Landlording is a business that requires knowledge, organization, and a lot of hard work. Occasionally, in spite of doing everything right, landlords must deal with collecting judgments. Disaster planning must be put in place prior to the disaster, not after the fact. Any method of forcibly removing tenants other than through the court is illegal and can be costly. Financing of income property can be more complex and difficult than financing your residence. Landlording is risky, so risk management should be at the top of every landlord’s list of priorities. Adequate screening and proper selection of tenants is the key to minimizing landlording hassles. The Section 8 program is complex and gives government more control over your rental business. Landlords must take mold seriously and minimize their risks from mold-related claims. The keys to better rent collection are adequate policies and enforcement of these policies. The use of title insurance policies protects both owner and lender interests in real estate. Increasing cash flow from a rental requires both increasing revenues and decreasing expenses. Keeping tenants happy increases cash flow and reduces management stress. It’s bad enough that the tenant has habitually paid the rent several days late and has not paid this month’s rent that was due two weeks ago. Now you discover that the tenant has filed bankruptcy. This course is concerned with the physical condition of a property, primarily from a buyer’s perspective, as determined by research, observation, and testing.